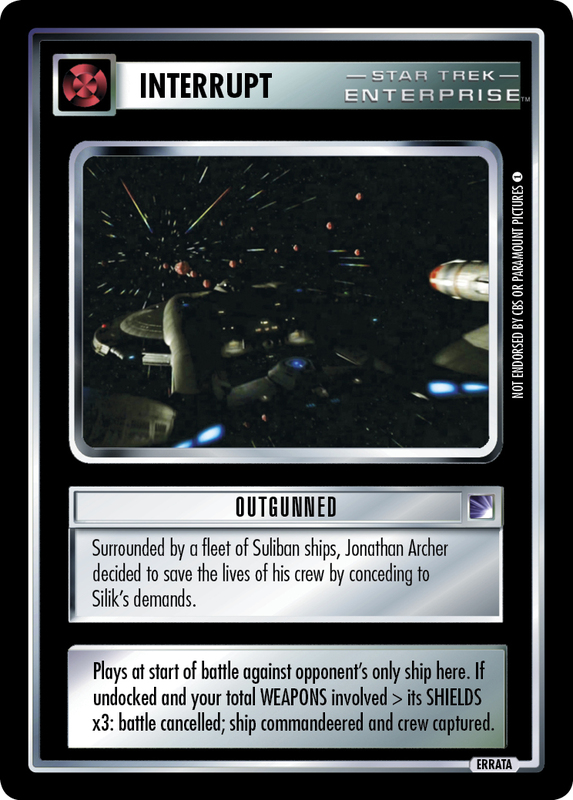 Surrounded by a fleet of Suliban ships, Jonathan Archer decided to save the lives of his crew by conceding to Silik's demands. 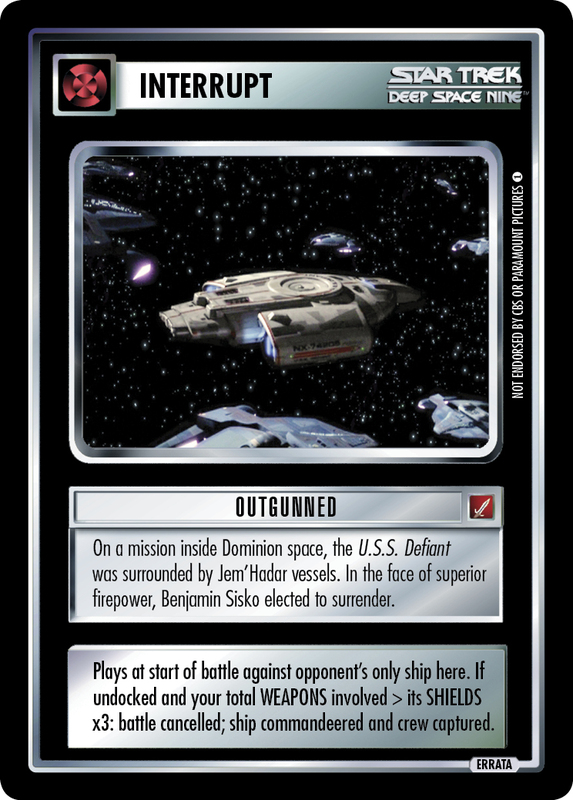 Plays at start of battle against opponent's only ship here. 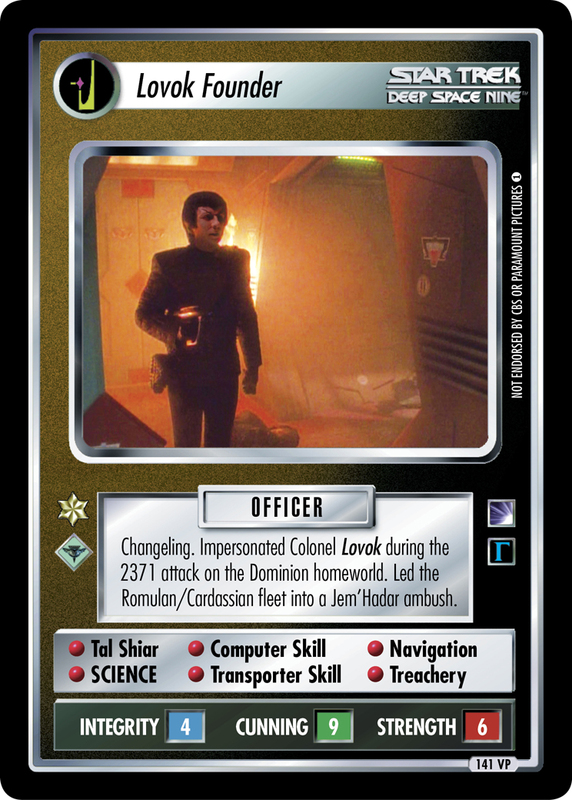 If undocked and your total WEAPONS involved > its SHIELDS x3: battle cancelled; ship commandeered and crew captured. 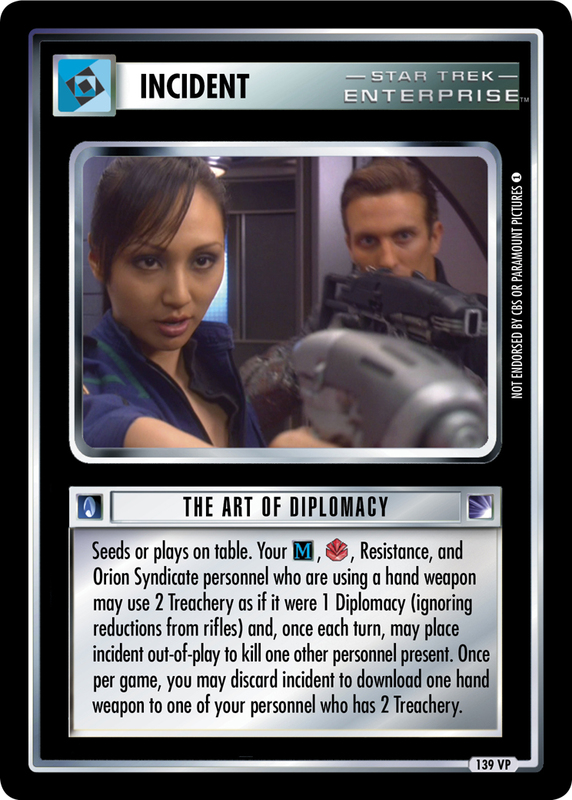 Image Source: Enterprise: "Shockwave, Part I"